There was a change in leadership at Manse Elementary School this week as Principal Kyle Lindberg stepped down from his administrative duties on Wednesday. Lindberg, who was hired to assume the position last year, was not the least bit upset about his demotion mainly because it was only temporary. He may, however, want to keep tabs on the person who took his job because she seemed to feel quite at home behind his desk. 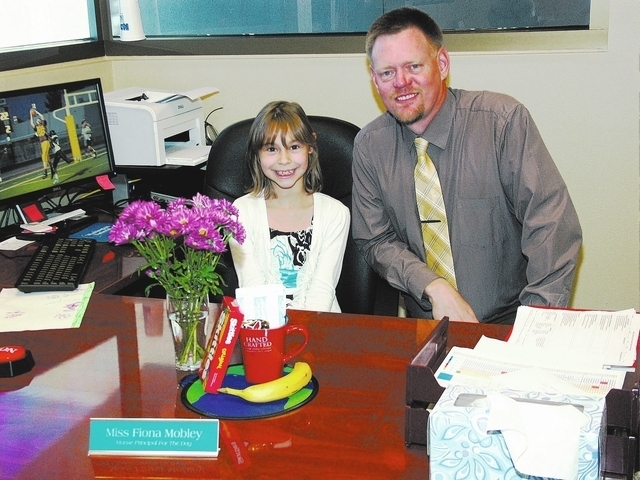 Fiona Mobley, a fifth grader, earned the opportunity to become “Student Principal” for a day on campus due to her enormous capacity for reading. In November, Lindberg issued a challenge to his students where the first to read 2 million words would actually get to have his job for one day. Though all of the students made a valiant effort and rose to the occasion, Lindberg said Mobley’s appetite for reading surpassed even his expectations. “I was assuming it would happen this April or May but some individuals here have taken it above and beyond where they read all through Christmas break. Fiona exceeded that and she is set now to possibly break the 4 million word mark at the end of the year. It’s my first year at Manse and I wanted to excite the kids about reading so I gave them the challenge,” he said. “This is great. I get to sit here and enjoy being the principal.” Mobley said. “I did the announcements and I went to every classroom and gave each student a “Hot Dollar” and if they misbehaved, I get to take it back,” she said. Hot Dollars are rewards students earn for good behavior. When redeemed, students can get various prizes. Mobley, who appeared to be right at home behind Lindberg’s desk, comes from a family of educators. 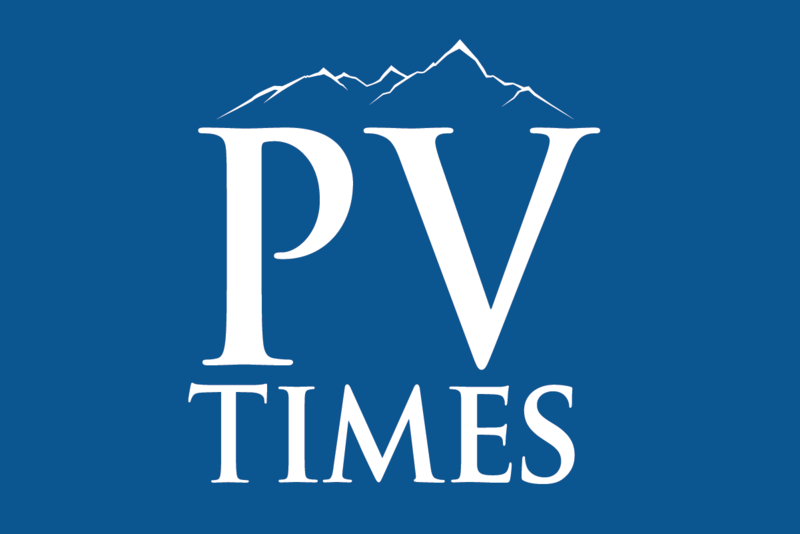 Her mother, Kay, is a second grade teacher at the elementary school, while her father Robert, a school district trustee, teaches American History at both the College of Southern Nevada and Great Basin College. “I knew that Fiona could do it because she just loves to read. We are really proud of her. She was shooting to reach the two million mark before Christmas break and she did. I would be watching a football game on the weekends and she would sit next to me and she’ll read then go off to play. When she came back she would start reading again,” he said. “I think one of the reasons why they read so much is I really don’t let them play video games. And I don’t let them play on my computer at home. I teach online, so I really can’t let them play with my computer. Lord only knows what button they might push that I can’t fix. They are part of the electronic age at school, but not at home. My wife and I foster independent play because we want them to be able to invent for themselves,” he said. Lindberg, meanwhile, said the task of determining exactly how many words the students read was relatively simple. “On our Accelerator Reader program, it tells you exactly how many books they read and it also counts up the words. We are still moving forward with the program and we have another student in the fifth grade who is at 1.5 million words already. Last year he ended at about 1 million but because of the contest, he wants to see if he can possibly become principal for the day as well. I am assuming by March, he will be sitting here as well,” the principal said. As Fiona closes in on four million words, there may be a chance to take on a higher position within the school district. Nye County School District Superintendent Dale Norton said he is willing to step aside and let her assume his duties for the day. “I would certainly support that. Fiona could go on a short run around the valley and do some site visits with me. It would be a great opportunity for me to be the assistant superintendent again,” he said with a laugh.